Part of Windham Fabrics Seaside by Jill Mc.Donald Collection - 42693-3. 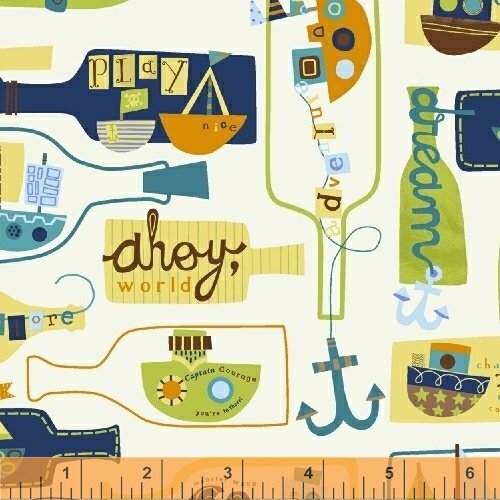 White fabric with a colorful pattern of ships in bottles in green, teal, yellow, brown and blue. 100% Cotton; Machine washable.